I’m creating the thread prematurely because I wanted to share my experience. I will be posting pictures after I get everything working properly. I wanted to share with you that I have spent 2 days in the garage trying to figure this out and have done extended research to figure it. The CABS Auto Blipper will NOT work with an aftermarket dash IF YOU FOLLOW THE INSTRUCTION MANUAL. 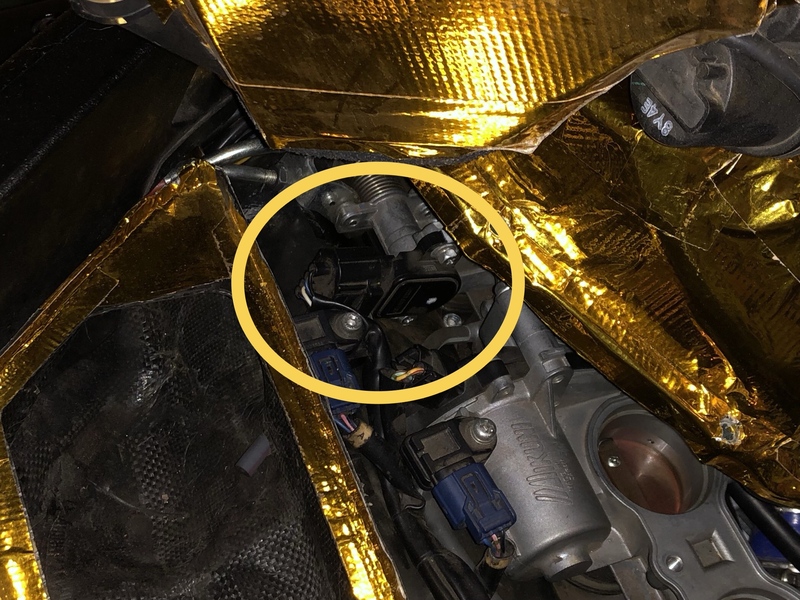 If you have an aftermarket dash, you have to tap into the Accelerator Position Sensor (APS) that is under the tank and airbox on the right hand side next to the throttle cables. The colors from the CABS wiring harness correlate to the APS wiring minus the yellow wire. The CABS yellow wire that is suppose to go to the bike’s white wire coming from the gear position sensor needs to go to a constant 12v. The CABS unit is very very voltage sesitive. I highly recommend running a wire back to the tail light or license plate light and using that for 12v. I was only getting 12v from the brake switch on the bike harness side when the actual brake switch wire was disconnected. When I would connect the brake switch, I would get 17v and the CABS unit would not work at all. With the brake switch disconnected and pushing 12v, the CABS unit’s LED would flash when triggered however, it would not move the throttle bodies. I then connected to the license plate light wire in the rear with a constant 12v, and everything worked. This was with the OEM dash. Now I have to put everything back to where it’s supposed to work with the aftermarket dash. It turned out that I had 2 issues: need to wire straight to source rather than ECU like the directions in the manual and the power supply wasn’t quite right. I’ll update here when/if I get everything working properly. 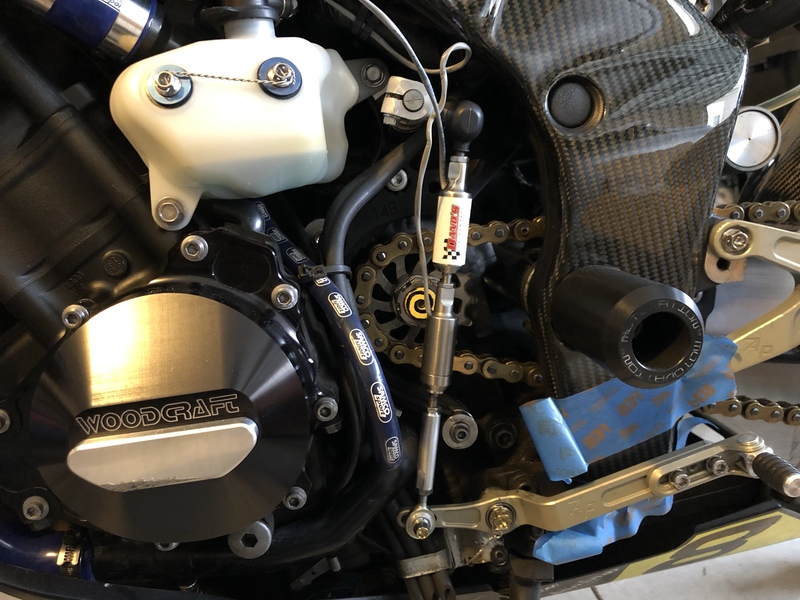 Instead of tapping the BLUE, WHITE, and BLACK wires from the CABS wire harness to the ECU, tap the Accelerator Position Sensor (APS) under the airbox. The colors of the wire correlate to the CABS wire harness. The yellow wire from the CABS wire harness with be tapped to a constant 12v (instead of the bike’s WHITE 1st heat wire under the tank). As per the manual, you are supposed to wire into the clutch to trigger the blip and wire into the brake switch to toggle power to the CABS unit. I tapped into a constant 12v power source for all time power. I also installed a second sensor (Pull Type) on the shift rod to trigger the blip. This allows for CLUTCHLESS downshifts. I also wired an ON/OFF button from my button pod for the CABS unit. The way the system works is power is fed into the CABS unit and the sensor is in between Ground and the ON/OFF button. You you close the sensor, it completes the circuit when Grounded. Furnished off the install with some Titanium bolts and lock nuts. Last edited by DarkHorse; 03-16-2019 at 07:33 PM. Updated first post. It works!! BikeHPS in the UK still have these blippers in stock. .....does the blipper connect to the gear position sensor? If so, the OEM dash puts 5v on to each of the wires to the gear position sensor. Then the sensor grounds the currently selected gear wire, and that is how it knows which number to display. That is all it uses the gear position sensor for, displaying a number on the dash and to check neutral for starting. The ECU computes gear by wheel speed vs RPM. Mods: Custom Fender Eliminator, Custom Rear Res. 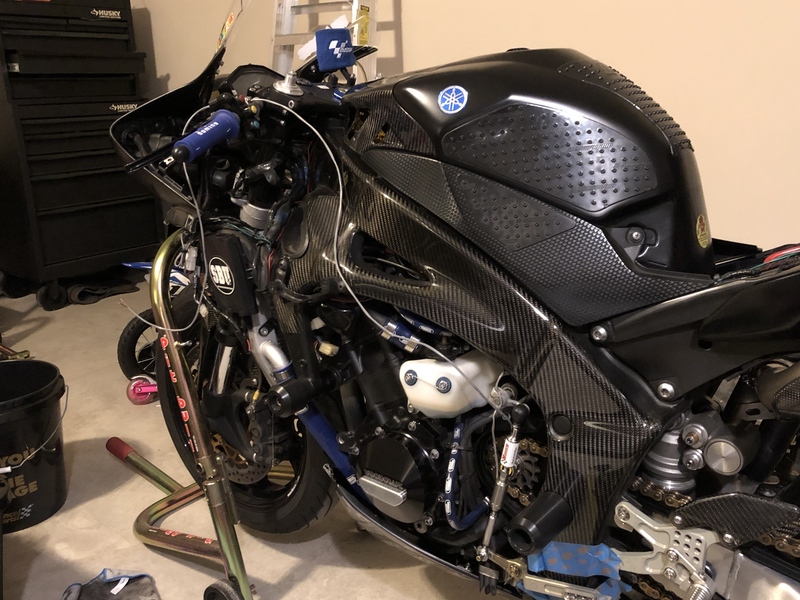 Bracket, Custom Clutch Sliders, Spiegler Rennsport SS F/R Brake Lines, Driven Clip-ons, Domino MotoGP Grips, Zero Gravity Smoke DB Windscreen, M4 Y-Pipe, Vance&Hines CS One cans, Shogun Sliders, Graves Stacks, F-T custom image w/Bazzaz QS sensor, Galespeed VRC MC, CL Braking Pads, RaceDAC Data Logger, RaceTech Springs and G3S Rear Shock, F1Composites bodywork. So how does it work? I had heard that it wasn't that consistent on our generation due to the gear position sensor to be less reliable or something? The wire that taps to the gear position sensor is tapped into a constant 12v instead for the the upmost reliability. Here’s a video of Marq. 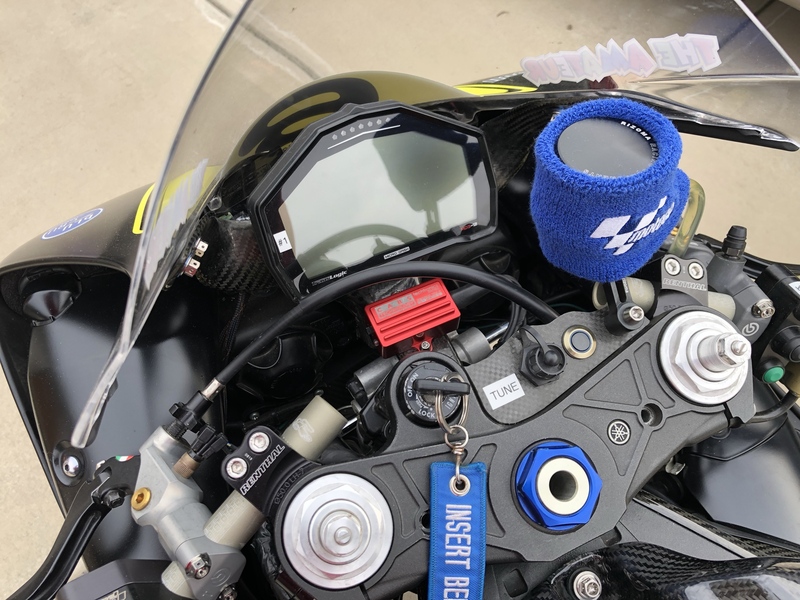 It was wired on his bike the exact same way I stated in the first post with aftermarket dash. I have 2 Cabs units in my junk pile right now, I'm gonna try one again and wire it in like you did. I hope it works, cause WHEN the Cabs works, its a beautiful thing. Sounds like it was working to me.... but what happened at the end, looks like you adjusted something? You can manually adjust how much blip you get, and if you set it up for no clutch at all, the amount of blip is very important for equating to a smooth blip. When you try it again, try a different voltage source. I originally tapped into the brake light for 12v power but that was not a stable power source which caused the CABS unit to work intermittently. Extend you wire and tap into a more stable 12v supply like the tail light or license plate light. The CABS unit is VERY VERY voltage sensitive. I bet you both of those CABS units work!!!! There is a knob to adjust the blip. Dial it in right and the rev matching will be smooth at all RPMs. Thats exactly what I got out of your post. Will do, thanks man. this is not exactly whats going on, they are CURRENT sensitive..
you NEVER plug in a device to just some random 12V source without knowing 'current' available at source vs current draw by existing 'load'..
will DEFINITELY affect a digital device..
you're just searching your bikes oem connectors in search of magical 12 volts without taking into account any other variables..
DarkHorse and Banky like this. Last edited by bacchus40; 03-20-2019 at 08:24 PM. This is GREAT info brutha! Now wth do I do with it? 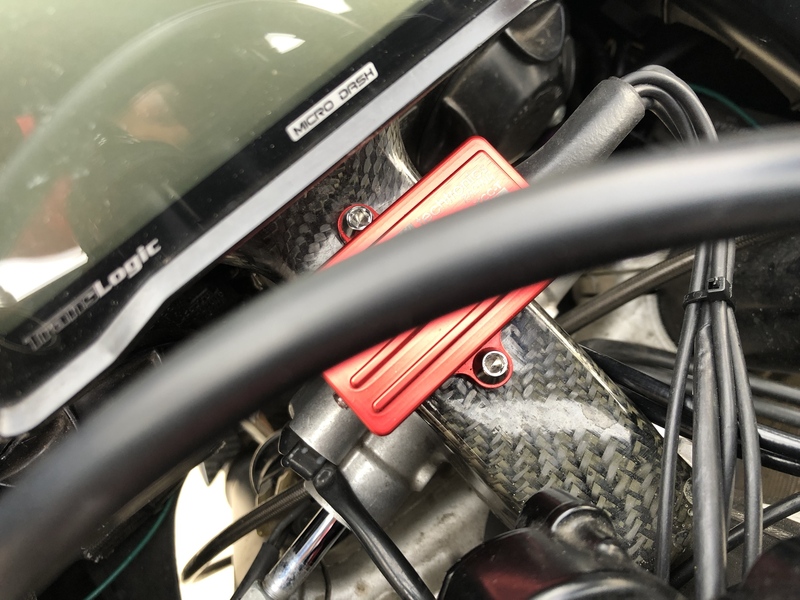 look into what a regulated power supply for motorcycles would offer, who makes one etc. and use that as your power source.. not just some random existing +V conductor..
we are trying to do right? make it work 100% of the time? if it still fails with solid power then we're getting somewhere. very little current from its source and can generate the power you require.. steady current wins the battle. i'm just spit-ballin' here and have not done a whole lot of research on the matter but i know how sensitive electronics behave..
you try to shift down, correct? Last edited by bacchus40; 03-21-2019 at 08:15 PM. That is correct, at least in my experience. It just works or it doesn't. Now there is a Red test light, and an audible solenoid click.... But you can't check either of those while riding, just while parked with the bike off. an audible click? yes either solenoid activated or its a relay.. but you're not gonna hear that with the helmet on..
i'd almost say toss it on a dyno and visually confirm what happens when / if it fails..
its a bit of a crap shoot though.. the light weight stator wont help. Last edited by bacchus40; 03-25-2019 at 08:08 PM. The bike doesn’t have to be running to check those. 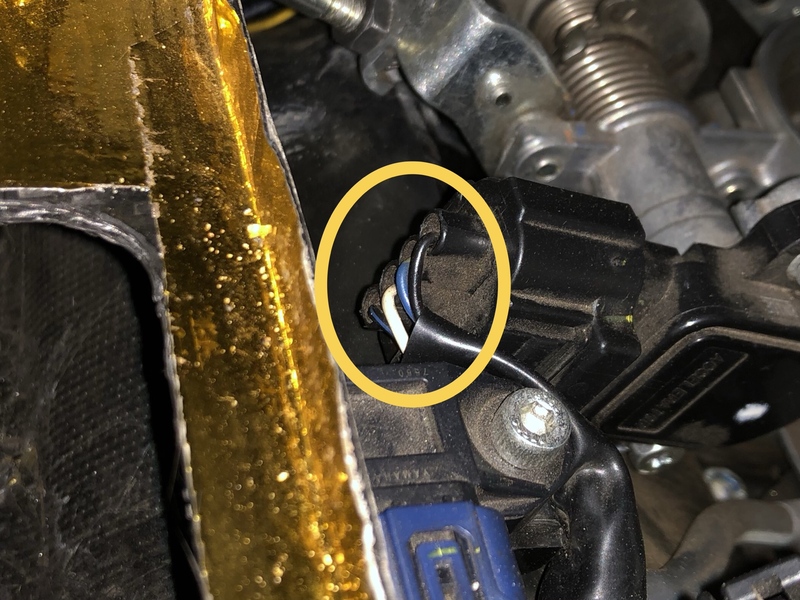 If you do need the bike running due, if you tap the yellow CABS 1st gear sensor wire to a 12v source, you will get a rev/blip when you trigger the CABS unit with the bike running and in neutral. this is not exactly what we're saying ... yes of course you can verify the unit is running and behaving normally while powered up.